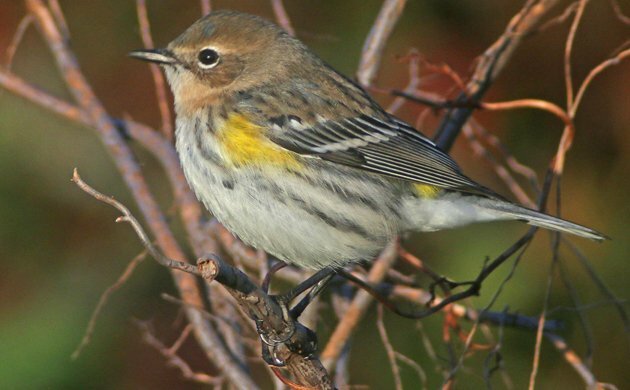 Before it was lumped with the western subspecies, the eastern version of the Yellow-rumped Warbler was (and may someday again be) called the Myrtle Warbler. Personally, I prefer to call them Butterbutts. 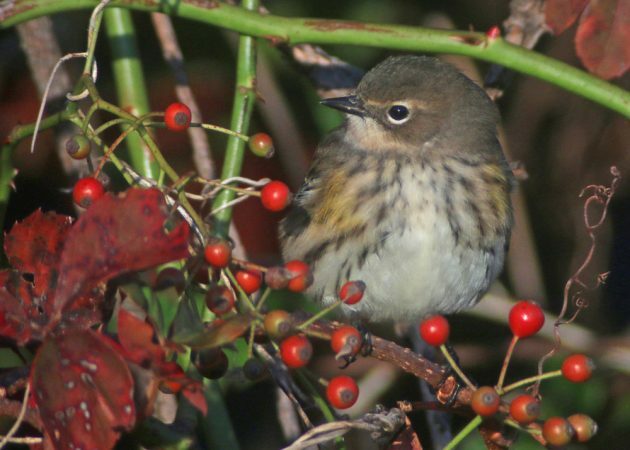 Whatever you call them, they are near ubiquitous along the coast in the northeastern United States this time of year as they feed up on a variety of berries including bayberries, from whose genus, Myrica, the Myrtle Warbler gets its name. I spent a good portion of my Sunday morning along the coast in Queens at Jacob Riis Park and Fort Tilden and I don’t think I was ever out of earshot of the familiar chip note of the Butterbutt. At first I looked through the hordes trying to find something better but I eventually gave in and decided to just appreciate what I was seeing. 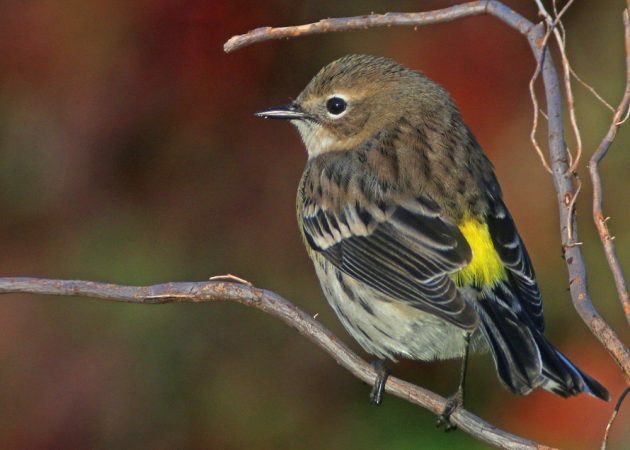 And, really, early morning light and wood-warblers combined with the reds and yellows of fall make for an enjoyable and aesthetically pleasing digiscoping opportunity. 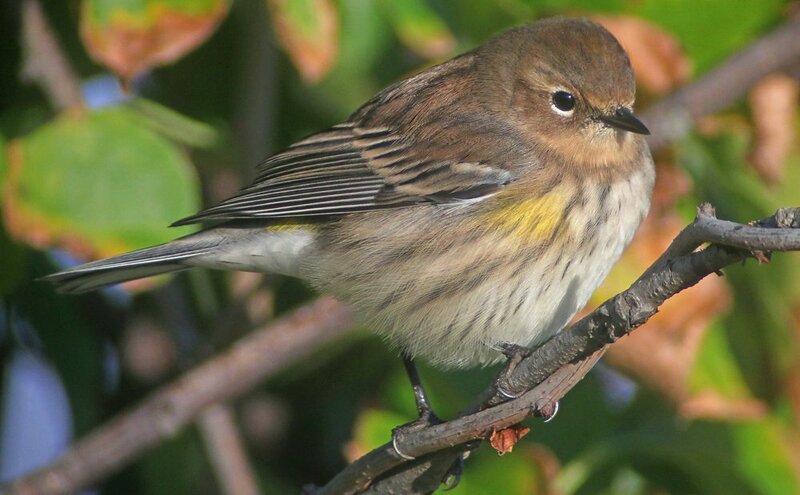 Ever wonder why they are called Butterbutts? The best thing about Yellow-rumps is that they have essentially no fear of humans. 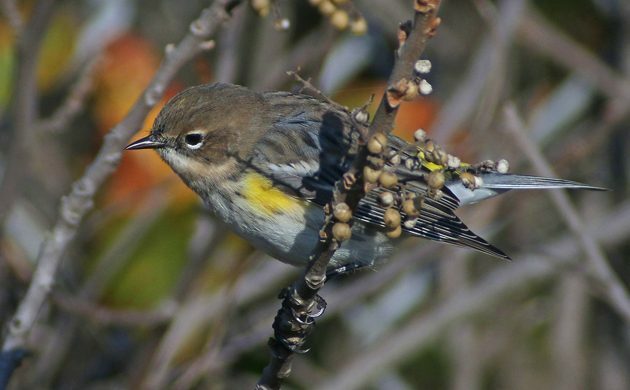 Though much more muted than their crisp breeding finery, I find the subtle shading of autumn Myrtle Warblers somehow satisfying. This one really seemed interested in the giant spotting scope pointed in its direction. Or maybe it was seeing its own reflection in the lens? Butterbutts. What’s not to like? The only thing I thoroughly dislike about Butterbutts is the fact that I am not seeing them here in Germany in autumn. That’s one of their more nasty traits. We should be seeing them back down here in Mexico pretty soon. 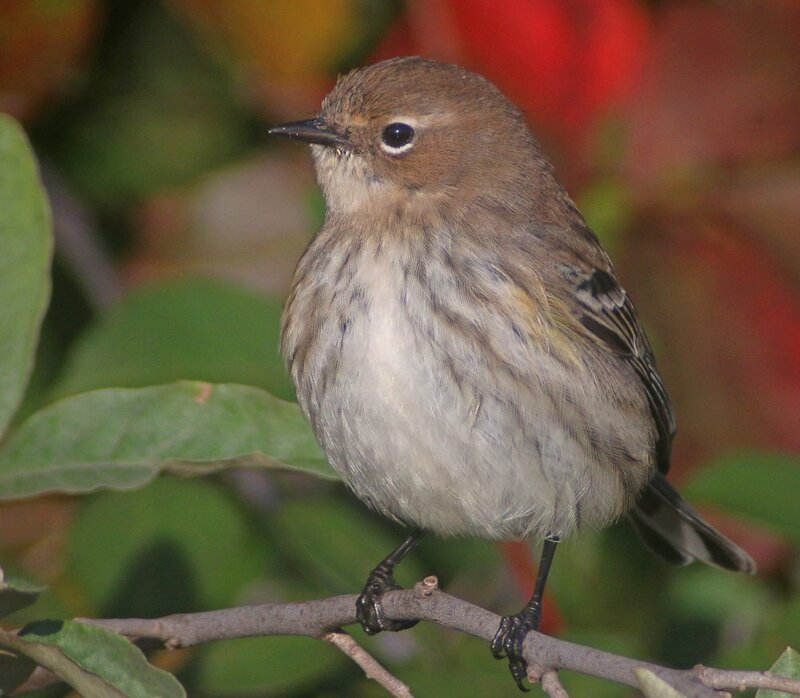 Corey, your digiscoping images are beautiful.